KATHMANDU, Aug 23: National Sports Council (NSC) has named 38 female players for the preliminary phase of selection for the ICC Women's World Cup Qualifiers 2016 from Asia. KATHMANDU, Aug 23: Tushal Youth Club and Shree Kumari Club registered wins in the Martyrs Memorial B Division League football tournament on Monday while Bansbari Club and Mahabir Club shared points after a goalless draw. KATHMANDU, Aug 23: Nepal Sherpa Youth Association is set to organize 1st Sherpa Youth Cricket Cup Tournament from August 25 to September 4 at Labrotary School cricket ground, Kirtipur. BARCELONA, Aug 23: Barcelona says that Neymar won't rejoin the team until after he plays in Brazil's upcoming World Cup qualifiers. 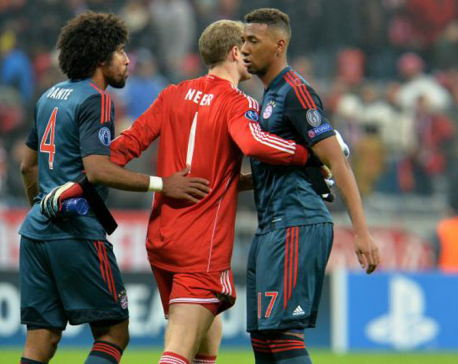 BERLIN, Aug 23: Wolfsburg says Brazilian defender Dante is leaving to join French side Nice. KATHMANDU, Aug 23: Ruslan Three Star Club has earned 1-1 draw against Cambodian opponent Nagaworld FC in AFC Cup Playoff Qualifiers scoring a late goal in 85th minute. 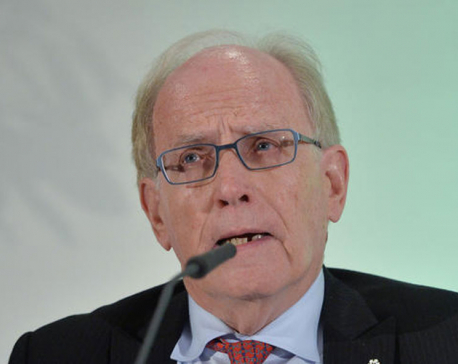 ZURICH, Aug 23: The investigator who detailed Russia's state-backed doping program will speak at a FIFA-hosted conference on ethics in sport next month. GENEVA, Aug 23: The richest clubs and biggest leagues in Europe are set to tighten their grip on the Champions League's future format and prize money this week. 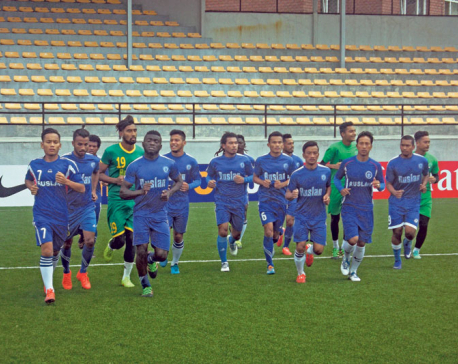 KATHMANDU, Aug 23: National League champion Ruslan Three Star Club, which is just a step away from making it to the qualifying rounds of AFC Cup Play-off qualifiers, is playing against Cambodian outfit Nagaworld FC in its second group match on Tuesday. KATHMANDU, Aug 22: Ranipokhari Corner Team (RCT) and Satdobato Youth Club made winning start to the Martyrs Memorial B Division League football played at APF ground in Halchowk, Kathmandu on Monday.